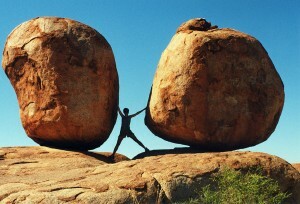 “Cast your burdens upon the Lord” (Psalms 55:22). Casting a burden upon the Lord means you turn the burden over and release it to Him. Every burden has a weight, and some are heavier than others. The Lord knows we can only carry a burden for a short amount of time before we begin to slip and fall under the weight of it. God calls us to bear one another’s burdens only long enough to bring them to Him. Remember, the Lord will not put more on you than you can carry. You will know you have cast the burden down when you begin to experience His rest. So why not enter into His rest today? Where Do I Turn When Trouble Hits?